Matt Meyer, a Senior Research Scholar at the University of Massachusetts/Amherst Resistance Studies Initiative with a life-long pursuit to bring gaps between academics and activists. Sekou Odinga was a member of Malcolm X’s Organization of Afro-American Unity, a founding member of the New York chapter of the Black Panther Party as well as the Black Panther International Section, and was a member of the NY Panther 21. 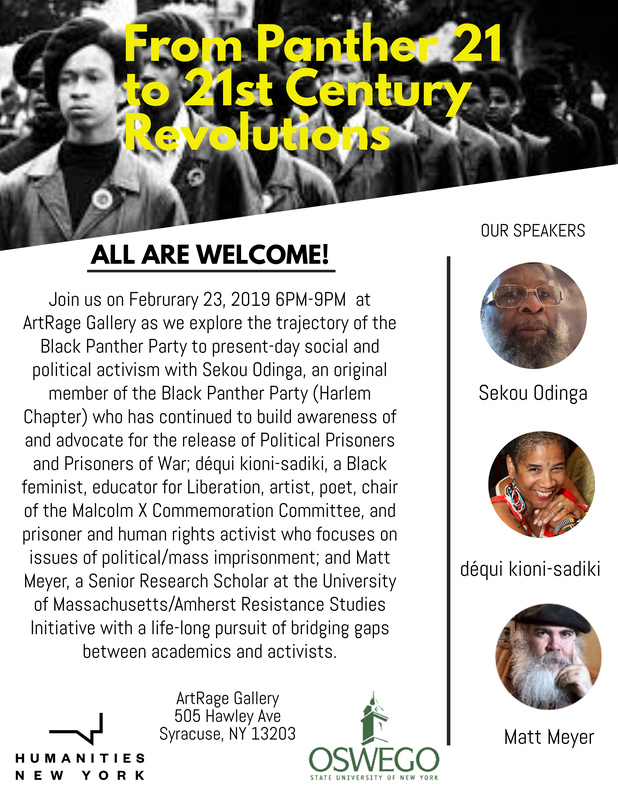 A citizen of the Republic of New Afrika and combatant of the Black Liberation Army, Sekou was captured in October 1981, mercilessly tortured, and spent the following thirty-three years behind bars—a prisoner of war and political prisoner of the U.S. empire. Since his release in November 2014, he has remained a stalwart fighter for justice and for the release of all political prisoners. 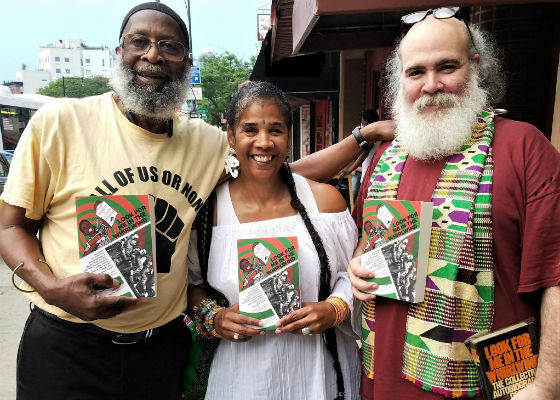 déqui kioni-sadiki is the chair of the Malcolm X Commemoration Committee and was a leader of the Sekou Odinga Defense Committee, which waged a successful campaign for the release of her husband. A tireless coalition-builder and organizer, dequi is a radio producer of the weekly show “Where We Live” on WBAI-Radio, Pacifica; an educator with the NYC Department of Education; and a member of the Jericho Movement to Free All Political Prisoners. Matt Meyer, a native New York City-based educator, activist, and author, is the War Resisters International Africa Support Network Coordinator, and a United Nations/ECOSOC representative of the International Peace Research Association. The founding chair of the Peace and Justice Studies Association and former Chair of the Consortium on Peace Research, Education and Development (COPRED), Meyer has long worked to bring together academics and activists for lasting social change. A former public draft registration resister and chair of the War Resisters League, he continues to serve as co-convener of the War Resisters International Africa Working Group.